artfreak01 has no other items for sale. 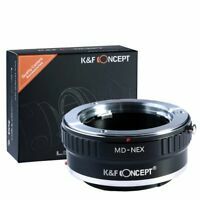 Details about Minolta AF MACRO 50mm f/2.8 for Sony Alpha A-mount - GREAT CONDITION!! Minolta AF MACRO 50mm f/2.8 for Sony Alpha A-mount - GREAT CONDITION!! Sony Alpha SLT-A57 16.1MP Digital SLR Camera - Black (Body Only) - 3K Clicks!